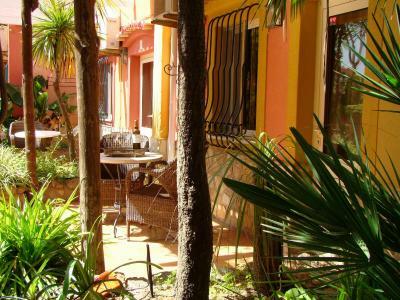 Lock in a great price for Villas D. Dinis - Charming Residence (adults only) - rated 9.1 by recent guests. 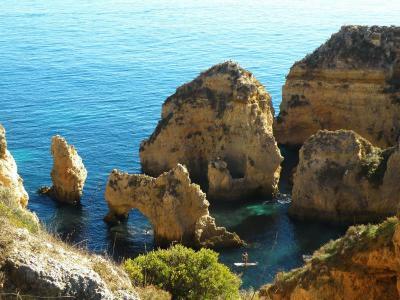 The location was perfect for the best of the Algarve with stunning beaches and views. The staff were very attentive and generally seemed happy in their work. They were ready to help with advise or the odd tea bag when needed. Our room was absolutely beautiful considering it was the budget room. Very beautiful place. Awesome breakfast & nice spacious room. Very helpful staff for recommendations on the area. 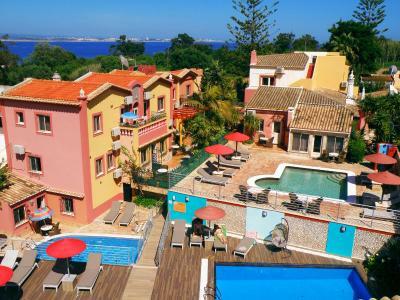 Very good location, just a short walk to the astonishing cliffs & beaches. Every staff was very kind and nice! They make my trip more comfortable. 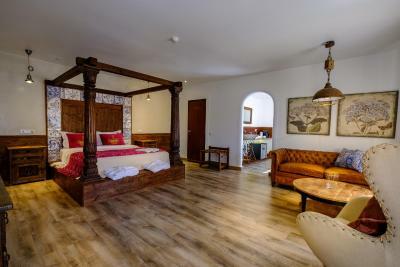 Lovely room in a Villa 10 minutes away from the hotel. Couple of teething problems with key and water as this was first let of the season , but efficiently and quickly sorted out by the manager. Very friendly and welcoming staff all round and the all inclusive breakfast was amazing, couldn't have been better. 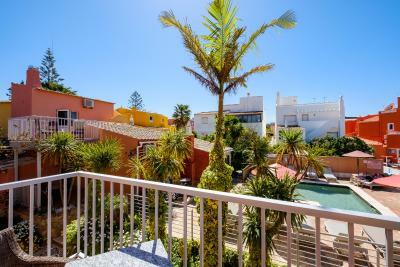 Location is brilliant, just minutes from the old town, and from 3 different lovely beaches. All in all amazing value for money. Will definitely go again, but hopefully when the weather is as reliable as the hotel! I like the small pool area. It was a nice area for relaxing after a long walk. The staff Nicole was very helpful. She gave me all the information I needed for exploring Lagos and made effort to book a nice beach restaurant for me. Perfect location. Cute bungalow-style room. Friendly staff. Great value. Looking forward to our next stay. 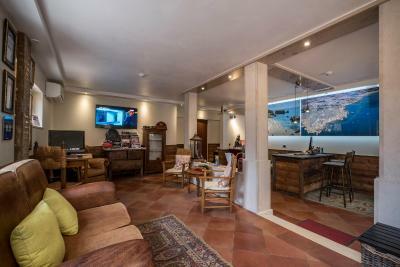 Great location, great breakfast, Cleanliness, beautiful views, walking distance to all beaches restaurants and city center. Spacious, clean, good location. Friendly staff. 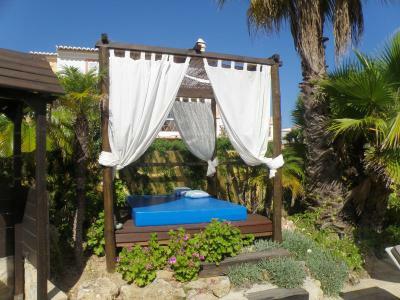 Comfy bed.great location for walking the cliffs and access to beach. 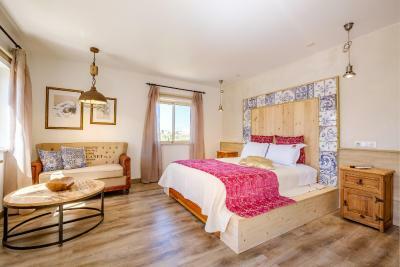 One of our top picks in Lagos.Set around a charming pool with garden, this group of traditional villas features private terraces, just a 5-minute walk from Praia Dona Ana Beach. The historic part of Lagos is 0.9 miles away. 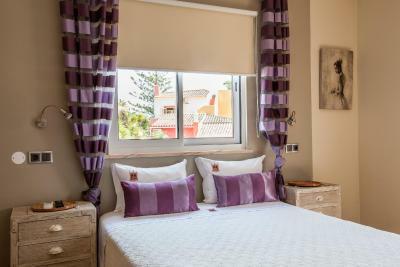 Each of the units is comfortably furnished and uniquely decorated. All come with satellite TV, safe, wardrobe, minibar, private bathroom and air conditioning. The private patio offers an ideal spot for relaxing in the shade with a tea or coffee. 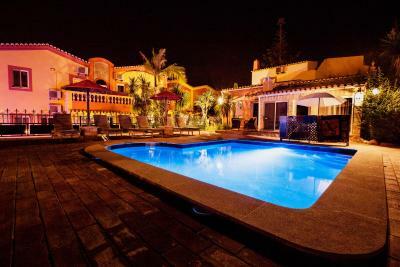 Villas D. Dinis provides an outdoor pool surrounded by an exotic garden with palm trees. 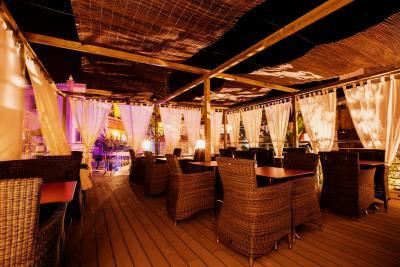 Sun loungers and parasols are also available. 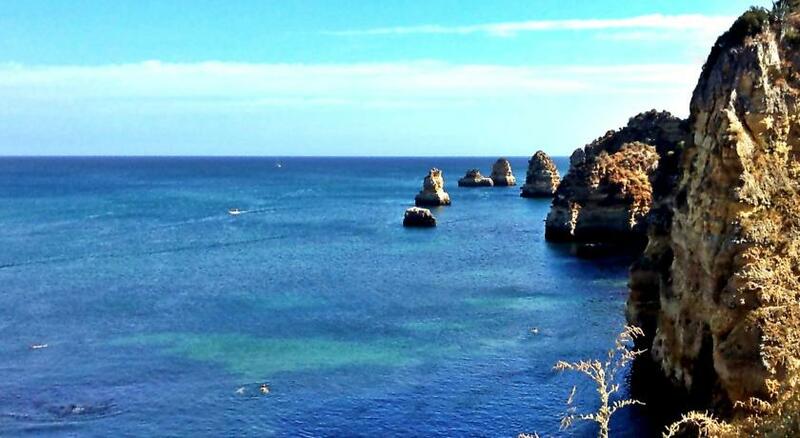 For those wanting to explore Algarve’s beautiful coast, the attentive staff can arrange a rental car or bike. Other convenient facilities include free WiFi and free parking. Villas D. Dinis - Charming Residence (adults only) has been welcoming Booking.com guests since 14 Mar 2009. 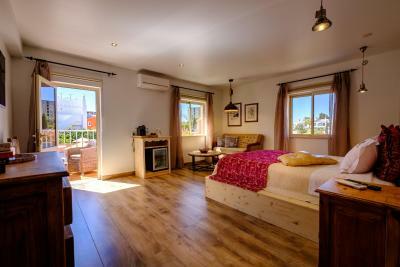 When would you like to stay at Villas D. Dinis - Charming Residence (adults only)? This air-conditioned suite has a balcony. It features a flat-screen satellite TV, kettle and a private bathroom with free toiletries. 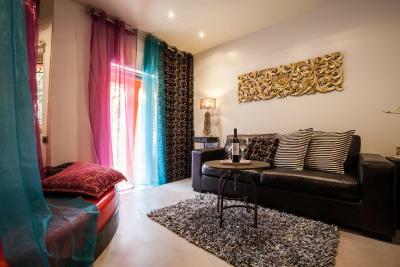 This air-conditioned suite has 2 bedrooms and is located 518 metres from the main building. It has a balcony and a fully equipped kitchenette. It features a flat-screen satellite TV, tea and coffee maker and a private bathroom with free toiletries. Guests enjoy access to the swimming pool. This room has no capacity for cots or extra beds. Please note that this room is located 518 metres from the main building and breakfast area. It features a flat-screen satellite TV, electric kettle and a private bathroom with free toiletries. It features a flat-screen satellite TV, tea and coffee maker and a private bathroom with free toiletries. Guests enjoy pool access. Please note that this suite cannot accommodate any extra beds or baby cots. The apartment has a private entrance with direct access to the street. This carefully decorated room has a balcony or a terrace. It presents either a garden or a pool view. The air-conditioned unit features a flat-screen satellite TV, tea and coffee maker and a private bathroom with free toiletries. 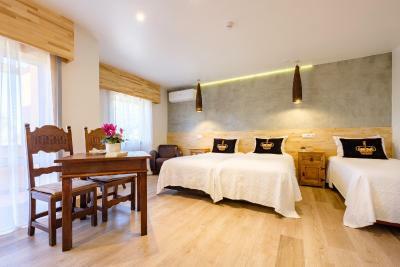 Air-conditioned room with a private bathroom, satellite TV, refrigerator and a balcony. 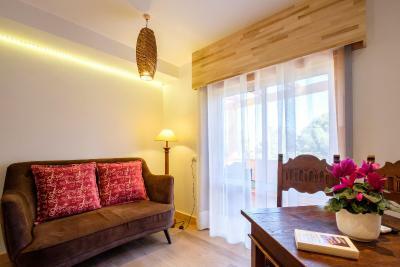 The Residence offers flowers and a complimentary bottle of wine inside the room, upon arrival. This elegant and modern suite has a balcony, air conditioning and minibar. It is located on the ground floor at the pool area. 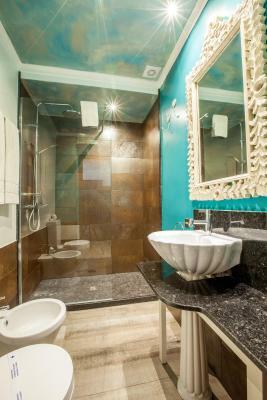 This quadruple room includes a private bathroom with free toiletries and is located on the ground floor. It has a flat-screen satellite TV, tea and coffee maker and allows guests to access the swimming pool. Please note that this apartment cannot accommodate any extra beds or baby cots. Located 518 metres from the main building, this suite has a dining area, tile/marble floor and patio. Guests enjoy access to the swimming pool. This suite has a balcony, seating area and bathrobe. It is located on the 1st floor with pool view. This suite has a satellite TV, electric kettle and minibar. It is located on the ground floor at the pool area. This suite is located on the 1st floor and offers pool views. 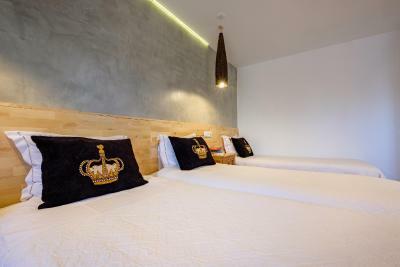 This superior double room features air conditioning, electric kettle and seating area. Please note that this room is located 518 metres from the main building and breakfast area. 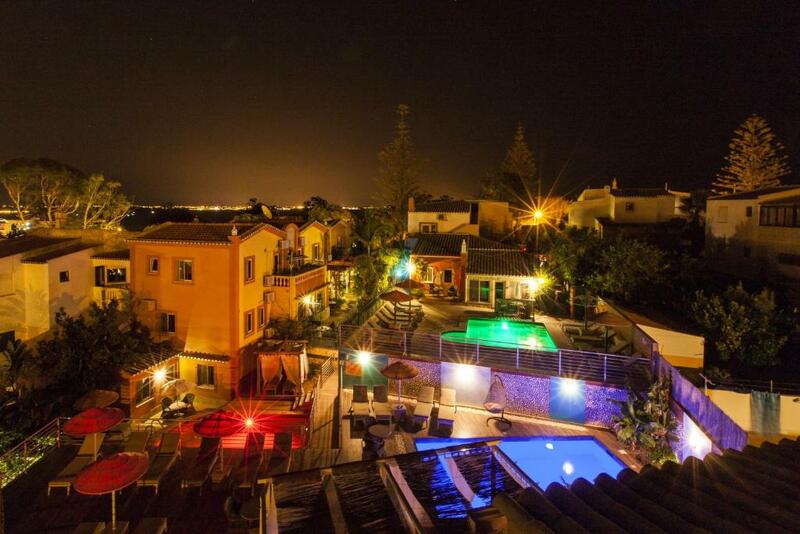 House rules Villas D. Dinis - Charming Residence (adults only) takes special requests - add in the next step! 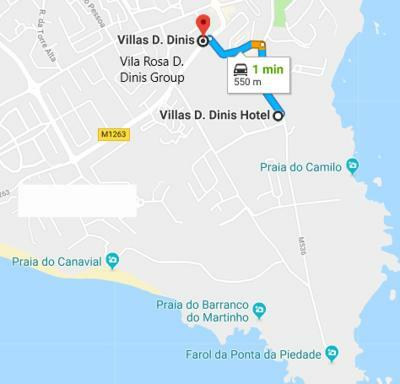 Villas D. Dinis - Charming Residence (adults only) accepts these cards and reserves the right to temporarily hold an amount prior to arrival. Please note that American Express cards are not accepted as a booking guarantee. 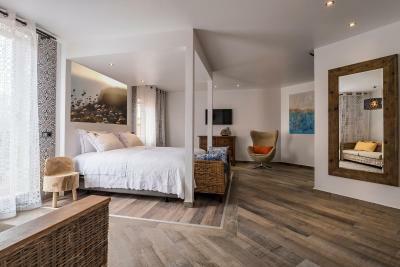 Please note that the 2-Bedroom Suite with Kitchenette (4 Adults), Duplex Suite, Economy Double Room, Twin Room and Superior Double Room are located 550 yards from the reception and the breakfast room. 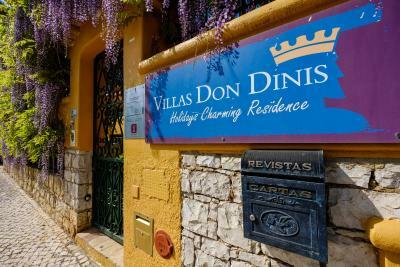 Please inform Villas D. Dinis - Charming Residence (adults only) in advance of your expected arrival time. You can use the Special Requests box when booking, or contact the property directly with the contact details provided in your confirmation. Not good value for money. The main locks of room were broken. Our room was underneath the kitchen and breakfast area which was a little noisy in the mornings. 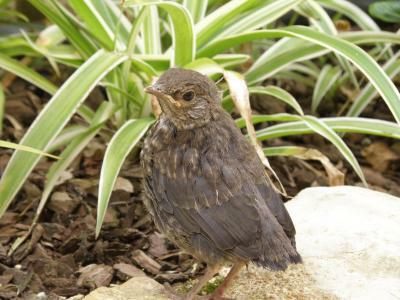 Having said that, we did start to zone out as the week went on and started to ignore it. We were surprised by how nice our room was. While it was on the small size, it had everything one might need. We have trouble sleeping on soft beds and the bed was just right for us. The breakfast was amazing with several kinds of meats, cheeses, eggs, lots of different kinds of breads and coffee. The location was ideal. We walked to the beaches and into town. Great breakfast, staff very helpful!! the cliffs and beaches are just spectacular but you have to also see derelect buildings nearby, still waiting to be refurbished after the crisis some years ago. The enrance and sign on the main road looked a little tired - a coat of paint would have made it more inviting. 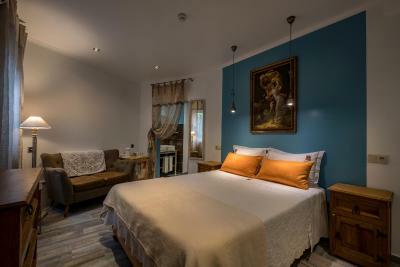 Beautiful room and friendly staff; excellent location. Balcony was wonderful. Wine was a special treat. There are absolutely no complaints about the hotel. This place had a real wow factor! 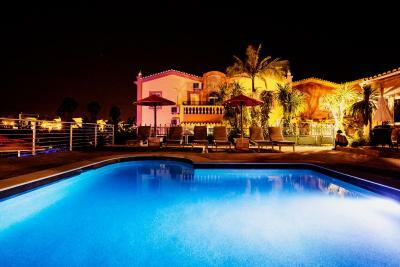 Set in beautiful exotic gardens with 3 small swimming pools and decks, it was a real oasis. 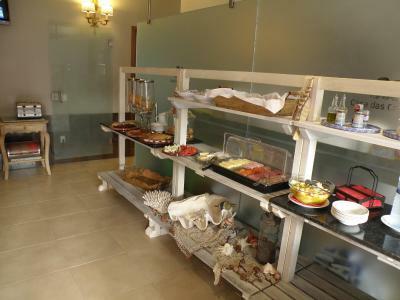 The staff were extremely welcoming and friendly and put on an amazing breakfast buffet. The room was gorgeous with lots of small details that made us feel valued and welcomed. We enjoyed petals laid out on the bed, swan towels and a bottle of wine. The toiletries and decor in the bathroom were high end and we had a small fridge and coffee and tea provided in the room. Perfect place, just a short walk from the local beaches. It's quite a long walk to historical area or any decent place for food, especially I needed to walk back at night after dinner. Pity the weather wasn't better so we counld have enjoyed the pool.